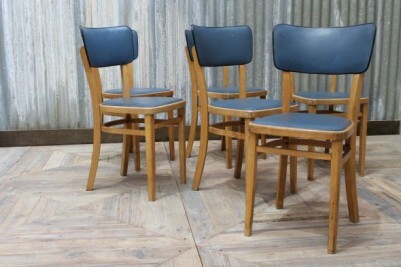 These Ben style cafe chairs would be a funky addition to any retro inspired interior. 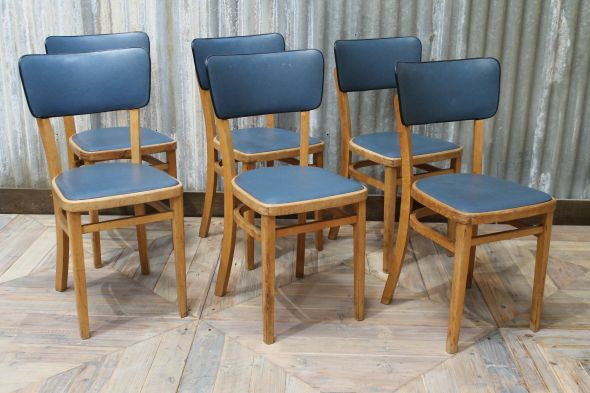 The wooden framed chairs feature a blue upholstered seat pad and vinyl back. 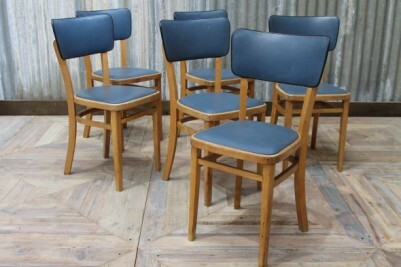 An excellent choice for any cafe, restaurant or domestic kitchen, these 1960s chairs are both stylish and practical. These vintage chairs are in good condition, but will show some signs of general wear and tear due to their age. 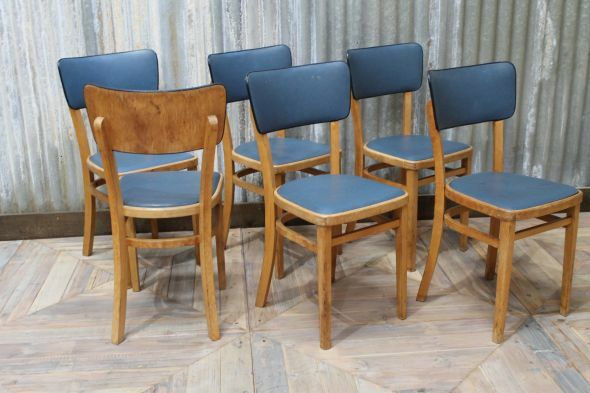 Browse our website to see our full collection of vintage and industrial seating, which includes 100s of metal framed stacking chairs in a wide range of styles and colours. 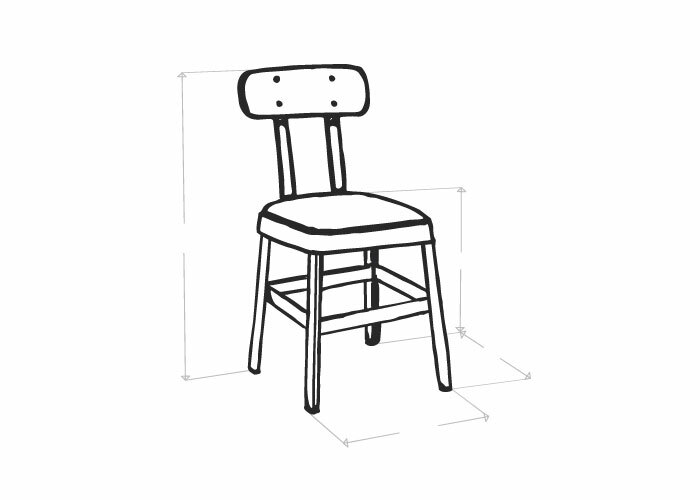 The price is for one chair only; however, we do have more available.